The G6 Galactic U1 is the perfect choice for users seeking a FAST Intel gaming PC with the latest graphics card, the GTX 1060. This PC also ships with an incredible Six Core Processor, loads of memory and a large hard drive. If you're looking for a fast, high tech gaming PC with incredible performance, this is the PC for you. Whether you need your PC for work, playing games or watching movies, your looking for speed, and this PC has it in bundles! The Intel i5 8400 processor can deliver amazing performance, unlocking maximum, unrestrained processing performance for extreme responsiveness you can see and feel. For even more extreme power, this processor comes with a turbo core feature which automatically boosts PC performance to 4.00GHz, giving you incredible power at high loads! For graphics, we've added the incredible GeForce GTX 1060. The new GeForce card marks an evolution in gaming performance—an insanely fast, smooth, and whisper-quiet experience. It’s perfectly tuned to today’s most advanced gaming technologies. You'll be able to run your PC on multiple monitors and experience movies and games in stunning 4K and mind blowing 3D! 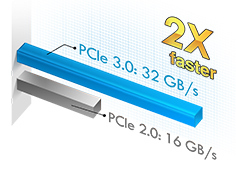 For memory, we've added a huge 8GB's of DDR4 Kingston Memory. These High-Performance memory modules are craving to be maxed out. Kingston memory will bring your PC’s performance to an entirely new level. A 1TB Hard Drive is the storage center of this PC. With lightning fast 7200RPM read rates, you won't be left waiting when opening your programmes and files. Massive storage space means you can store thousands of documents, photos and more. Choosing the right PC for you can be tricky at the best of times. Some people know exactly what they want, whereas others require a little more help in order to spec up their perfect PC. If you are unsure of what kind of graphics card you may need, the processing power for the programmes you're running, or need to run through all of the hardware options, don't hesitate to give us a call. One of our friendly, experienced advisors will be on hand to guide you in the right direction. So don't hesitate, call us now on 0871 230 7170. An operator will be available Mon-Fri 8.30AM-5PM.